The popularization of the tea ceremony during the Edo period (1603-1867) led to the dramatic increase in various wagashi (traditional confections), many of which have remained unchanged into the present. 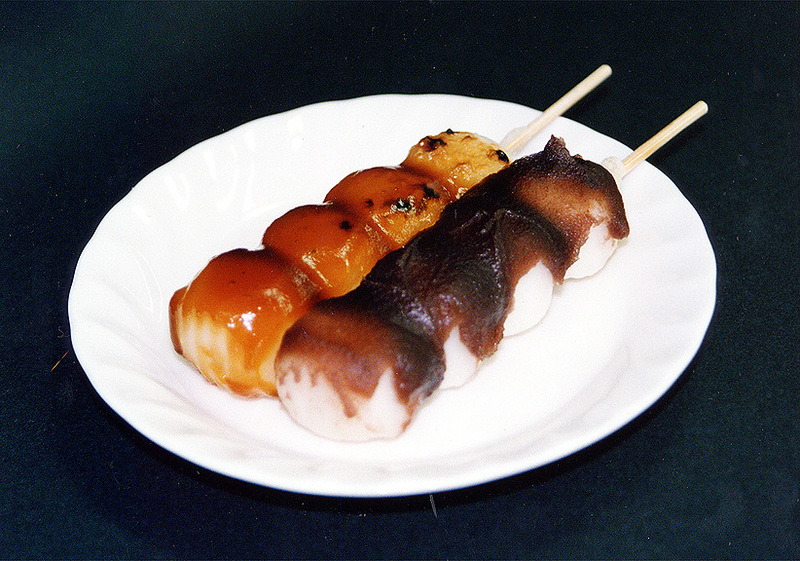 Among the distinctive ingredients of wagashi is an (あん), a sweet paste made of red azuki (小豆 あずき) beans or white bush beans, sugar, and water. Dairy products and vegetable oils are never used in making wagashi, nor are artificial flavorings or ingredients with strong aromas. One major characteristic of wagashi is its relationship to the changing seasons. These changes are reflected in the shapes and colors of wagashi, as well as in the names chosen for each type. Recently wagashi is widely enjoyed with Japanese tea on informal as well as formal occasions.